Almost everyone has homeowners insurance. Banks require it if you have a mortgage on the property. 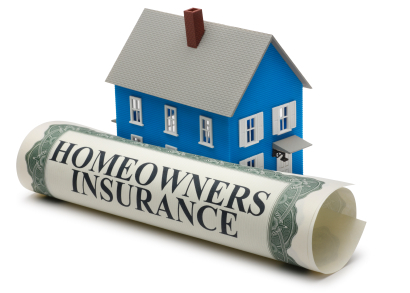 But what exactly is homeowners insurance? Homeowner’s insurance is the coverage you buy when you own a home and it covers four things: House/dwelling, the contents inside your home, liability (injuries in your house or on your property), and living expenses in the event your home is so badly damaged you can’t live in it and require a hotel or some other type of accommodation. It also covers the destruction your child or pet causes at someone else’s house. Typically, when you buy a home and require a mortgage, you must find a company that will insure your home and contents but many don’t understand exactly what it covers. Home insurance policies are long, complicated and written in legalese. But it can really pay to know what’s in your policy and what it will cover in case of a catastrophic event such as a fire or hurricane. Many wait to learn about it and exactly what it covers until they have to file a claim, but by then it’s too late. Prior to calling any company for insurance, it’s a good idea to do your research and find companies that are rated the best in the insurance industry. This means they are financially stable, have a good reputation for customer service and are known for paying on claims. Check its ranking with A.M. Best Company. Were there any recent updates to the home, such as the plumbing and electrical systems? Any remodeling including a custom kitchen or bathroom? Should coverage be considered for any additional structures on the property such as a shed or a screened pool cage? What is the difference between market value vs. replacement cost? Market Value is the price a buyer will pay to purchase your home and land in its current condition. If your home were to burn to the ground tomorrow, you want to be sure your policy would pay enough to build the exact same house in the same spot. You want enough insurance to replace it right down to that amazing hardwood floor. Remember, what you paid for the home vs. what it would cost to replace it is two different things. After a loss, if you have replacement value insurance for your belongings, you will be given enough money to replace all the contents in your home. If you’re interested in this type of insurance, you may have to request it as not all policies have replacement value as default coverage. “Beware of policies that promise “fair market” or cash value,” says Dana Dratch of Bankrate.com. That means the company will give you the current value of the item, which will include wear and tear and depreciation. Most are aware that you carry a deductible on your automobile insurance. The higher your deductible you carry, the lower your premium. This is also the case for homeowners insurance. Most companies offer $500, $1,000 or $2,500. Just be aware this means in the event you have some type of damage, you will need to meet your deductible amount before insurance will pay the remainder. If a contractor falls off of his ladder and breaks an arm while painting your home, liability will cover you. It is very important to have enough to protect yourself financially. “Bear in mind that if somebody’s at your house at a party or barbecue, and gets hurt at your home, that you have property liability coverage, “ says Alessandro Luppa, former president of the National Association of Insurance Commissioners. Loss-of-use coverage is what your policy would pay toward your living expenses after a loss while your home is being repaired or rebuilt. It’s important to ask under what circumstances this would be effective and for how long. If it takes 8 months to rebuild your home, would your policy cover a rental home or hotel for the entire time period? Are you thinking about purchasing a home but have a feeling there may be mold or some other less than desirable problem with the home? Many insurance companies participate in claims database exchange in which claims information is stored by name and address. Insurance companies can then pull a report on an individual or location, just as a potential lender can pull a credit report. If there have been a multitude of claims, or someone in the home has reported a particular problem, such as water or mold that raises red flags, you could have trouble getting insurance. Before you buy, ask the owner for a recent copy of the CLUE report so you know what you’re getting. Many insurance companies have “discounts” they offer for various reasons. Alarm systems/automatic detection devices such as a temperature monitoring system or a water leak or gas leak detection system installed in your home; you may be eligible for savings. Multi-policy discount – You can save a few dollars when you have auto, home and umbrella policies with one company. If the company offers life insurance that will usually qualify as well.